Posted by admin on Nov 6th, 2018 and filed under News. You can follow any responses to this entry through the RSS 2.0. Both comments and pings are currently closed. Imo Youths For Good Governance, IYGG, a Group of Youthful Professionals of Imo State extraction, has expressed optimism that with Linus Okorie in the race for the 2019 Imo Governorship Seat, the State can now have a breath of fresh air. Speaking to Journalists in Owerri at the weekend, the Coordinator of IYGG, Dr Edward Onyeukwu said that with the emergence of the candidate of APC, Imolites can now seat down and analysis all the people coming out for the 2019 Imo Governorship and arrive on who to give their mandate. 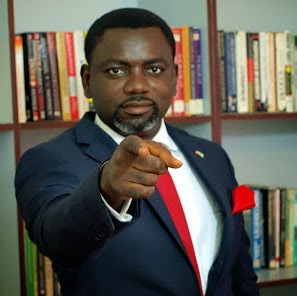 Dr Onyeuwku said that from what is playing out now, it seems God is directing Imo populace to Linus Okorie of Young Progressive Party, YPP, who seems to be the only new face among those jostling for Douglas House, and is loaded with good tidings for the suffering Imo masses. Onyeukwu who hails from Ikeduru LGA, maintained that Imo people are tired of recycling old political faces in Imo and in 2019 want young, well educated, widely travelled and highly connected technocrats like Linus Okorie, who is globally acclaimed as a leadership guru. “We know all these people parading as Governorship candidates. We know what they can offer and their limits. Therefore let us give a chance to Linus Okorie of YPP whose leadership qualities are and not in doubt and is recognized all over the world. Imo must not miss this opportunity” he said. He maintained that Linus Okorie has experience on how to harness both natural and human resources in Imo State to achieve massive result, having founded and ran Guardians of Nation International (GOTNI) a Leadership Development non- profit organization, which has developed 15 leadership brands to train and nurture youths, elected officials and general public on effective leadership skills. He said Okorie is also a Management Consultant of New Vision Consults, a world class leadership Firm he founded in 2007 that advise and train top level Civil Servants including Military Officers. Adding her voice, Bar Angela Obi, the Public Relations Officer of IYGG said that in other climes, Linus Okorie would have been invited to come home and turn his State around for the benefit of the masses. Barr Obi said that Imo State presently needs a grounded technocrat to turn it around, as the out-going Okorocha’s administration has impoverished Imolites more than they were in 2011. “Okorie is different from the old order and he is the new kid in the Block who is not carrying any political luggage like his opponents in the Imo Governorship race” the Female lawyer said. She warned that now that Okorocha is leaving office, Imo State must be careful not to allow another misfit to take over the administration of Imo State, pointing out that politicking is different from Leadership qualities. “Okorie is sound in every ramification. He attended Government Secondary School Owerri, as a home “Boy”, and had his first Degree in Imo State University, before proceeding to USA for his Masters Degree in Organizational Leadership in Regent University, Virginia Beach. This is the type of person Imo State needs now as Governor in 2019, not politicians without second addresses” she said.